We came across this great review of our apps by Severe Weather Roofing and Restoration from Denver, CO. 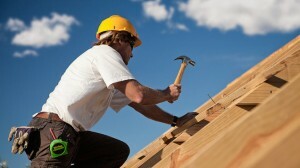 They are a roofing company serving area in Colorado including Denver, Fort Collins, Boulder, Loveland and Longmont. The major benefits that the Marcucio product line brings to many of our construction projects is the ability to get organized. Many times clutter, disorganization, and disarray is the single most reason why a project fails either because workers are unsure of what to do, project changes don't get documented, or any of the other countless reasons which can occur within the lifespan of a construction build and Marcucio has certainly helped us prevent these type of problems. The three main aspects that we like about Marcucio is that it was built upon organizing yourself as the project manager, organizing your team, and organizing passwords and protective information securely. The self-management tool built into Marcucio which is called 'Get It Done' is just amazing. At the very least it is a to-do list and a task manager but with many more features than just writing a note on a piece of paper. The app lets us organize various tasks and delegate them, ultimately tracking the progress of each even on a mobile platform. Emails associated with tasks are all saved in dedicated folders and the tasks themselves can be 'tagged' for easier access and sorting. The tasks can be dropped into a calendar, prioritized, postponed, or outfitted with a reminder. Another app of Marcucio that we really appreciate having is the 'Manage It' app. What it basically does is enable members of our team to be added to a project for collaboration, delegation, and communication. Everyone included on the team is kept up to date on where each member is with their task and if resources need to be allocated to make sure the project flies smoothly. Finally, 'Remember It' serves as a safeguard not only so team managers will always have access to their important information, but so that others will not. The program features bank-level security and data back-up for those 'just in case' moments. There is a mobile app or a website platform to use so nothing needs to be downloaded and thus at risk for compromise. Marcucio is a fine blend of products that are easy to access on the web or in mobile and are very visually friendly. The apps involved with the family of products are very versatile for construction and other products. We’re excited to see more features soon!